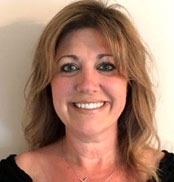 As the Maintenance and Repair Coordinator, Michele's core responsibilities include creating customer repair and maintenance proposals, scheduling of the repair teams and creating new work tickets. She is responsible for closing of the daily repair work tickets, assisting with department payroll and communicating with customers, vendors and filed technicians. Michelle works closely with Operations Manager on a daily basis, assisting with material ordering, creating purchase orders and tracking of material. Along with the above, she performs database updating, file maintenance and assists in dispatching service calls when necessary. Prior to working for us, she worked for the Board of Education, at the Lakeland Regional High School in Wanaque, NJ. She worked with the Special Education students as an aid, specializing in scheduling the students in the Life Skills program. Michelle brings her customer service skills to her position as Maintenance & Repair Coordinator.